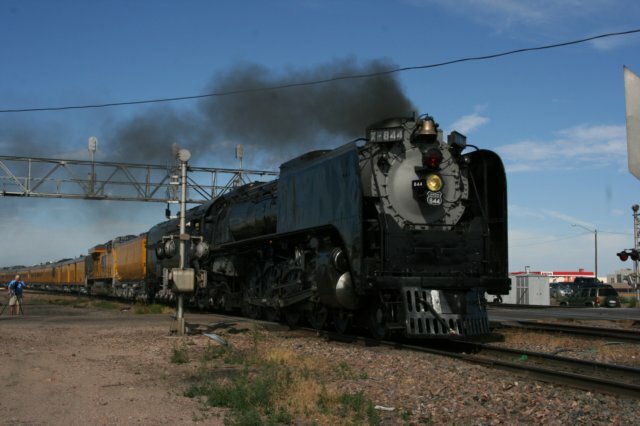 As seen here, Union Pacific is readying the never-retired 4-8-4 Northern steam engine #844 for it's annual series of trips between Denver and Cheyenne's Frontier Days. I've chased the 844 numerous times, but never to Cheyenne, oddly enough. Nonetheless, I know others like Skip W that have already greased up their tripods and cleaned their lenses. For some, chasing is a hobby, others a diversion, but for folks like Skip, it's a passion.